Expo Mom 2014 open today at Glorietta 2 Activity Center, Makati City and will run until Sunday, May 18th. This year's theme, “YOU THE MOM!” aims to recognize moms for all the awesome things she does every single day for her family and community. There are more than 60 exhibitors for you to check out at the EXPO MOM 2014 event. All Mommy Mundo Passport holders, will be entitled to a You The Mom! loot bag upon presentation of the card. Be one of the 3 winners to get a P 5,000 shopping spree at #ExpoMom when you join in on the #youthemom campaign! If you're a mom, post your photo and share what makes you most proud as a mom using the hashtags #youthemom and #expomommanila. If you're not a mom, tag a mom who inspires you and give her a #youthemom shoutout! 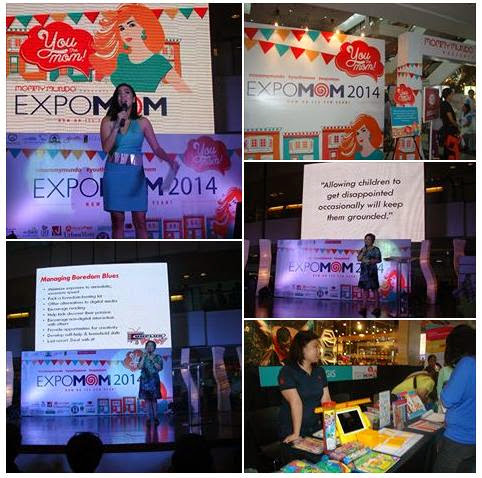 So head over to Expo Mom 2014 to avail of discounts from the hottest mompreneurs! Don't miss out on getting your hands on giveaways and other special promotions.